A pregnant Orca, known as J-32, was discovered dead near Comox in the Pacific Northwest. This photograph was made during the necropsy 2 days later. Data indicates a combination of starvation and toxic anthropogenic pollutants were the cause. 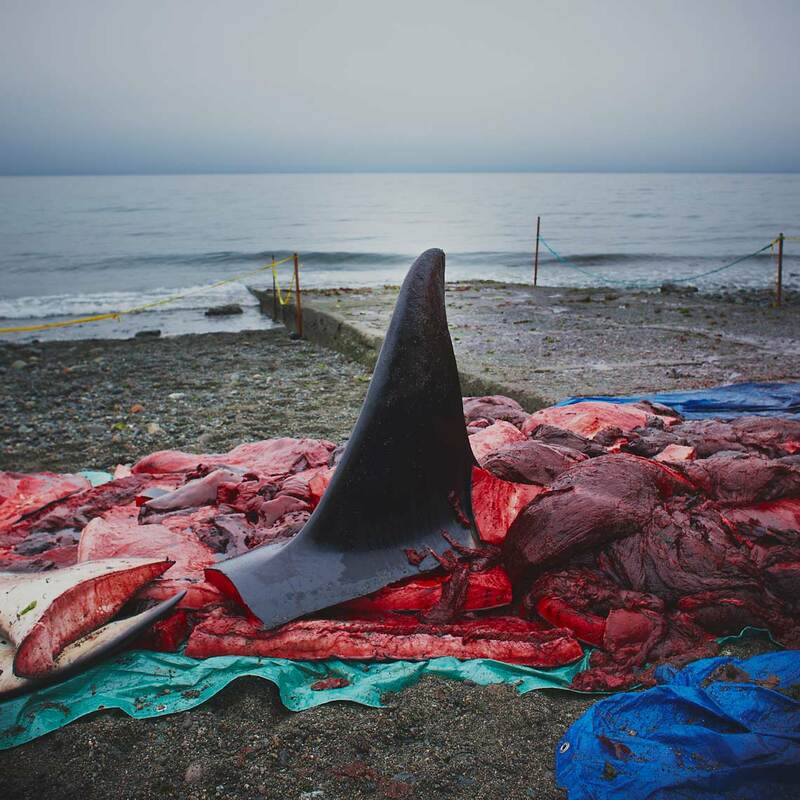 When a whale cannot find enough food it begins to metabolize its blubber fat and, as the Northwest killer whales are among the most contaminated marine mammals in the world, the toxic chemicals enter their bloodstream causing serious illness and death.